Pipedream’s “Bachelorette Pecker Lei Necklace” and “Kiss My…! Party Game” were both featured in a special episode of the reality TV show Real Housewives of Atlanta, filmed in Hawaii. The popular bachelorette line was turned on its head as the ladies used it for a special “divorce party” to celebrate newfound singledom. During the segment, the women decide to throw the “divorce party” in an effort to lift spirits and have some light-hearted fun around two cast members’ impending divorces. The “Kiss My….! Party Game” is hung on a wall and each of them have fun taking turns, twirling, then trying to land a lipstick kiss in just the right spot, as exuberance and laughter ensues. Guests also received a “Pecker Lei Necklace,” which is a perfect fit for a “divorce party” in the Hawaiian setting. 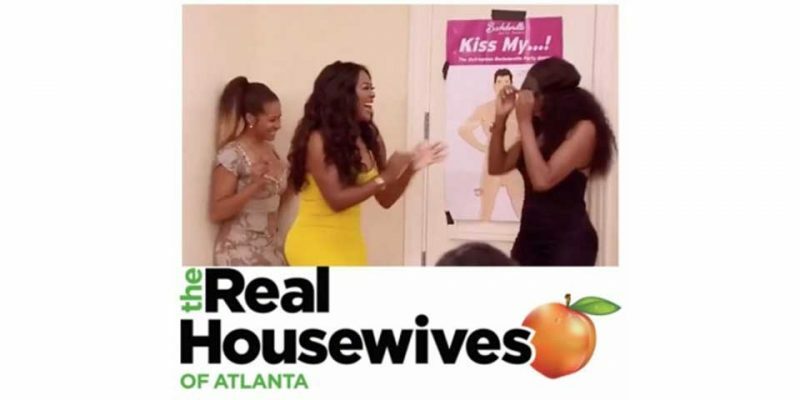 Pipedream can be viewed in Real Housewives of Atlanta, Season 9, Ep. 17, or you can view the clip of the segment online here.